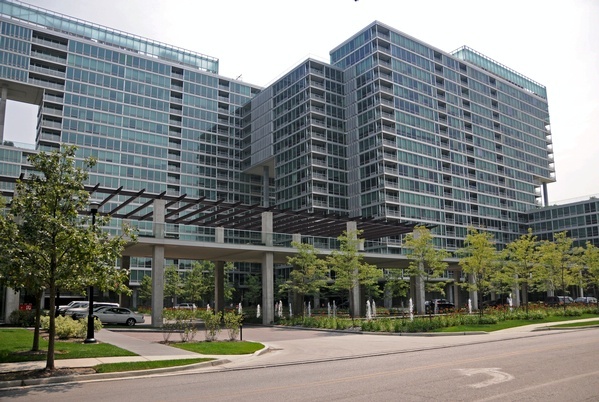 Optima Old Orchard Woods is the premier condominium address north of Chicago. This ambitious project includes three 20-story residential towers anchored by three levels of parking, retail, and recreational spaces. Each structure is connected by multi-level “Skybridges,” with residential units supported on tall columns. The courtyard includes a reflecting pool, enclosed with a one story colonnade. Concrete Structures provided design/build services for the entire structure above caissons. The structures were built to an ambitious schedule, allowing residents to occupy residential spaces by mid 2006.